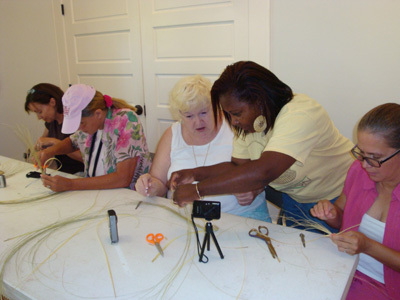 The Coastal Discovery Museum at Honey Horn will continue to offer Sweetgrass Basket Making classes this fall. Classes will be held Saturdays, September 15 and 29, October 13 and 27 and November 10 from 10:30 a.m.-12:30 p.m. Learn about the history of the Sweetgrass basket, one of the Lowcountry’s best known art forms, from a local Gullah basket maker. Then, try your hand at starting a basket of your own using locally found natural materials. The Museum is located at 70 Honey Horn Drive on Hilton Head Island. The cost is $65 adult and reservations are required by calling (843) 689-6767 ext. 223 or coastaldiscovery.org.